Cauliflower is a cruciferous vegetable that gets a lot of love on the internet, but not a lot of love on the dinner table. Sometimes described as a "superfood" because of its healthy attributes, it's nevertheless completely boring both to look at and eat, unless it's cooked creatively—so you should do that. But get away from the dinner plate and it turns out there's more to the lowly cauliflower than meets the eye. Here are a few things you probably don't know about the brainy stuff. The cauliflower is something of a shrinking violet, in that it doesn't do well under the spotlight. The head of the cauliflower is actually a form of undeveloped flower, and if it weren't protected by thick leaves for most of its life, the sunlight would stimulate the production of chlorophyll and the flowers would become inedible. Well, more inedible than usual, at least according to all the cauliflower haters out there. Of all the inexpensive products that now come from China, cauliflower is probably not one that people are going to get upset about—unless you're French, that is. 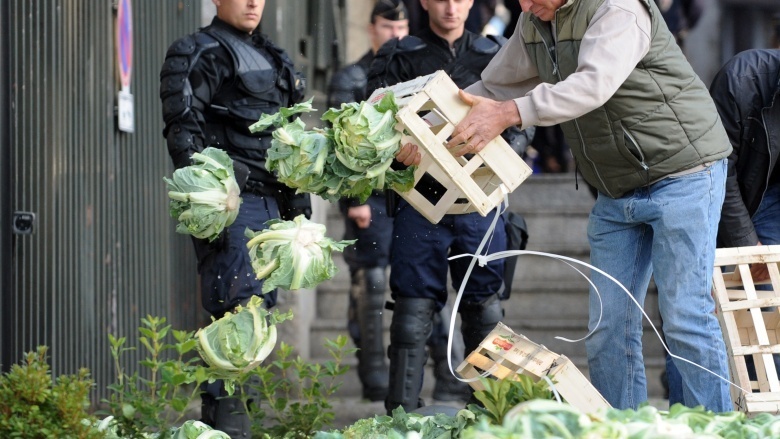 Cheap Chinese imports were blamed for the falling price of cauliflower in France in the late 1990s, which actually even resulted in civil protests. 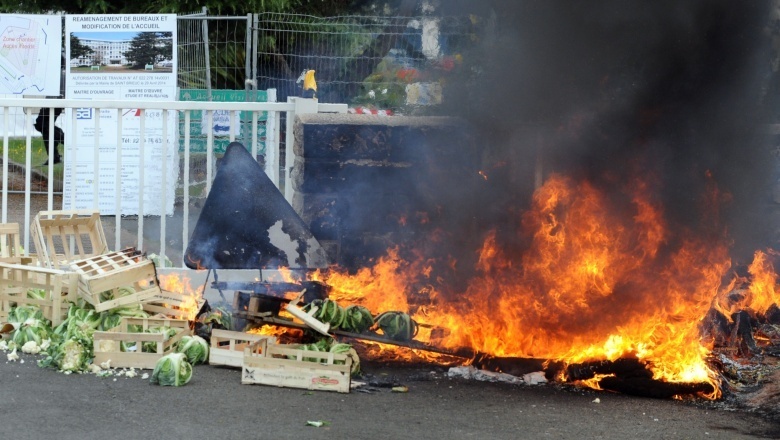 According to the BBC, the farmers got so upset by the falling price of the boring brassica that they blocked roads and set fire to railway lines in an effort to force the government to offset lost revenue. But they ended up getting sued by the railway for damages. Bummer. In all probability, the Cauliflower you ate the other day looked a bit like brains, didn't taste like much, and was full of vitamins. But it doesn't have to be that way! 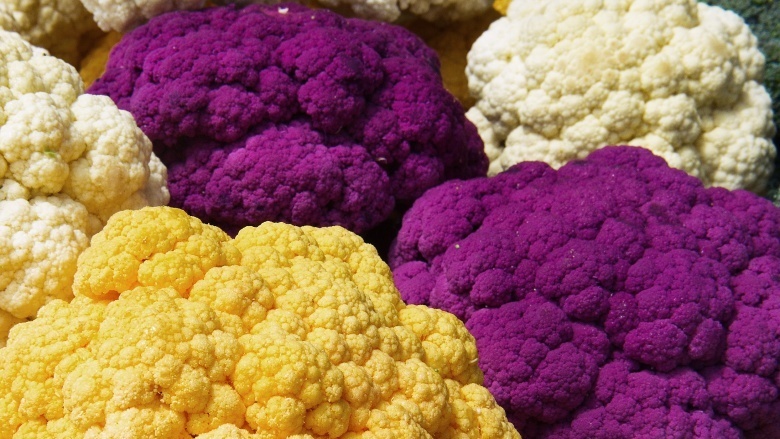 Cauliflowers come in actual colors ,including orange, green, and purple. And not a boring, pale purple-lilac kind of color, but full blown '90s-tracksuit purple. It's even easier to cook and better for you than the white one. And since the odds of kids eating purple food is significantly higher than white, it makes you wonder why parents aren't demanding supermarkets always stock it. Cauliflower is sometimes called a superfood—but since most of the time saying something is a "superfood" is a scam to get you to eat weird and boring vegetables, you probably don't think much about it. But in this case, you'd be wrong…ish. Cauliflower is a source of sulforaphane, a compound that attacks cancer cells and slows the growth of tumors. Unfortunately, sulforaphane is a byproduct of an enzymatic process that only occurs if you eat raw Cauliflower, because cooking kills the enzymes. So maybe it's time your jaw got some exercise. You know that nice guy who everybody loves, who later on turns out to be racist? Well cauliflower is a bit like that. Except it's not racist, because that was a metaphor. Cauliflower is full of vitamins and antioxidants and a bunch of other good stuff to keep you happy and healthy, but it also contains high concentrations of purines. Purines are also found in high concentrations in other foods like anchovies and liver, and are used in the body's cells. 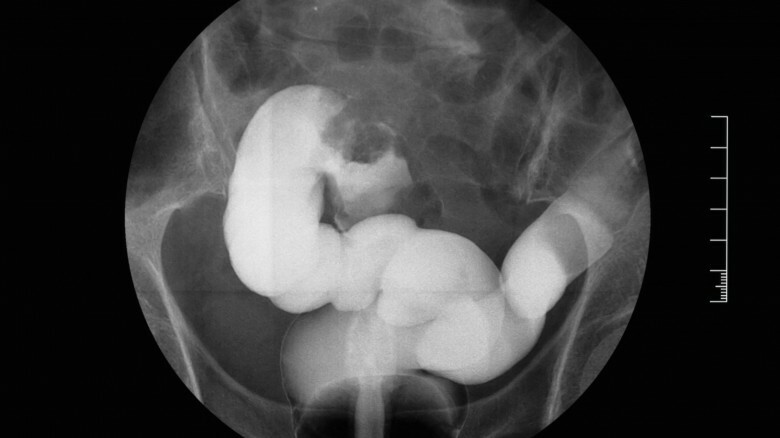 But when cells die, or you eat something like cauliflower, the excess purines get metabolized into uric acid. And while for most healthy people that's no big deal—since their kidneys can remove the excess—for some people that spells gout. Gout is caused when excess uric acid generates crystal deposits of the stuff in the joints, tendons, and organs, which causes a lot of pain. So if you're prone to gout, you should probably avoid eating that cauliflower, liver, and anchovy salad you were thinking about. Once again, if you take a break from the whiter shade of boring, things get a bit more interesting. 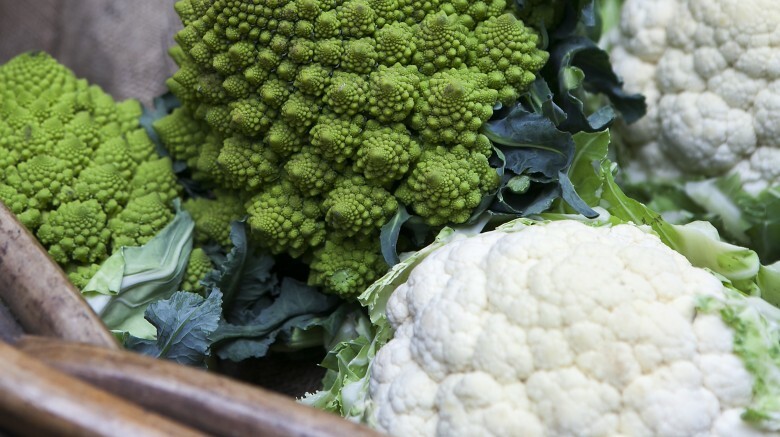 In this case, the green variety of cauliflower, also known as broccoflower, grows in a fractal pattern. A fractal pattern is one that's duplicated and repeated at many scales, getting smaller and smaller. 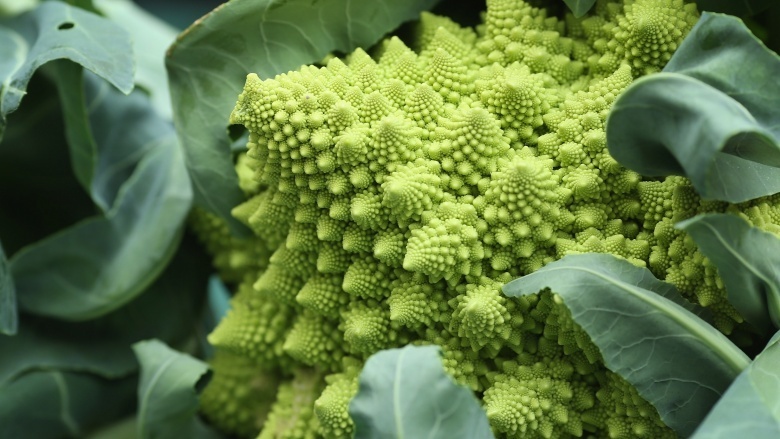 In the case of the broccoflower, the head is formed in a sort of cone shape, but the surface of the cone is made of a spiral of cone shapes, each of which is made of a spiral of cone shapes, and on, and on… It's fascinating to look at, especially if you're into math. Now, if it only came in purple we'd be onto a winner. "Don't play with your food!" said your mother a hundred times…unless you're this guy, obviously. Brock Davis is an artist from Minneapolis who makes art from the everyday, and that includes cauliflower—because of course. But in this case Davis actually succeeded in turning a questionable dinner-table faux pas into an internet phenomenon. 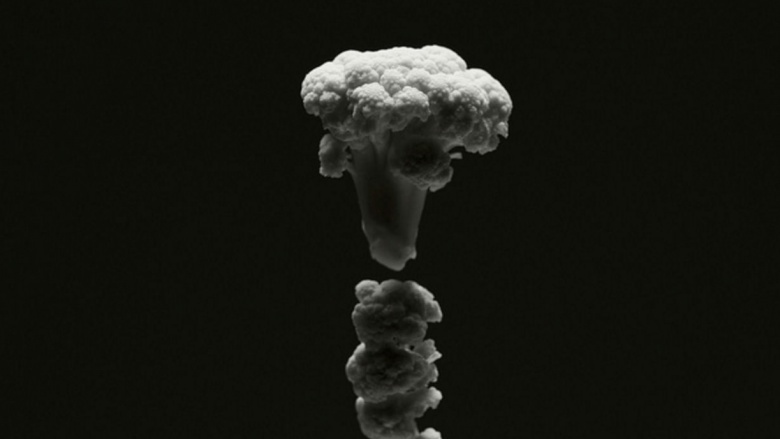 Taking advantage of cauliflowers' natural "explosiony" appearance, he arranged and carved bits of cauliflower to recreate famous large bangs, including the Challenger shuttle disaster in 1986, the Hindenburg disaster in 1937, and the mushroom cloud over Nagasaki in 1945. The combination of mundane and horrific has always been a powerful one, and no less so here. It won't be living in the sewer, fighting crime, or talking to a giant rat any time soon, but nevertheless, cauliflower and the Ninja Turtles have a lot in common. 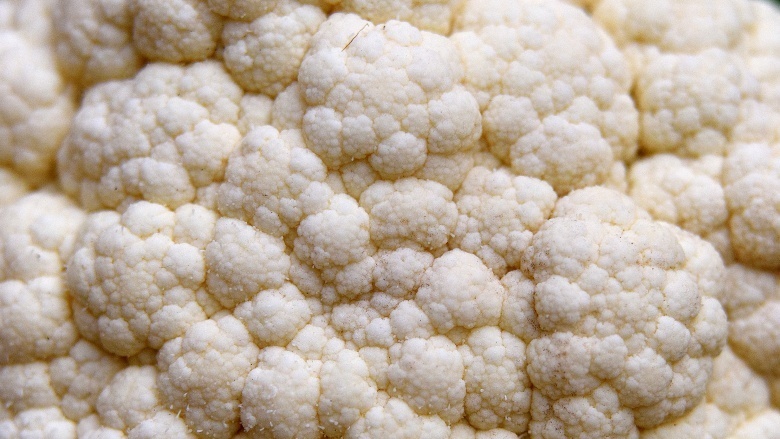 It's the thing that makes the Turtles able to fight and eat pizza, and makes cauliflower, well, cauliflower: a mutation. Cauliflower is part of the brassica family, which includes Brussel sprouts, kale, and broccoli, which were all domesticated from the wild cabbage. But unlike the rest of the family, cauliflower has a genetic mutation, which is the reason its flowers are large and edible rather than just beautiful (and maybe still edible), and which is also responsible for its unique fractal growth pattern. So if you're bothered by GMOs, you should know that cauliflowers have been on that train all along, and scientists had nothing to do with it. Cauliflowers aren't a particularly classy vegetable — you can certainly do some tasty and exciting stuff with it, but you're not going to see it rubbing shoulders with oysters and caviar any time soon. 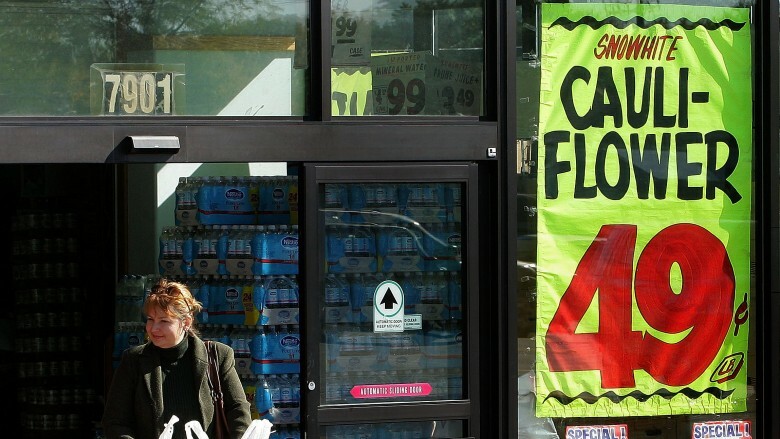 Not like you'd know that if you were in Canada in 2016, though — due to a combination of a weak Canadian dollar, and the drought in California, the price of Cauliflower went as high as $10 a head in some places. Ten bucks. Cauliflower's pretty great, but you would need to be a serious fanatic to fork out that much for one. If you have to pay too much for dinner, it should be a large, rare steak with a side of caviar, washed down with 20-year-old champagne. Not a small, cloud-shaped vegetable. Cauliflowers might be delicious and nutritious but, apart from the fractal growth pattern, they aren't much to look at. But there must be something about bulging white lumps that nature likes, because they turn up everywhere. Sadly, with the exception of cauliflowers and clouds, they aren't good. Just open a medical dictionary, and you'll find a disease that looks like a cauliflower. 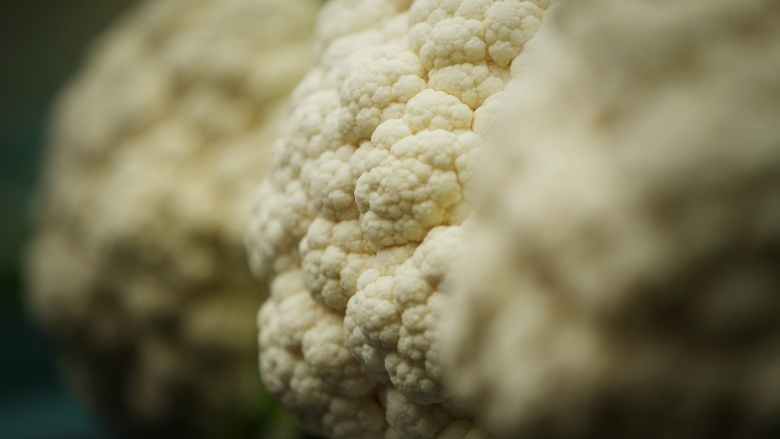 Take, for example, colon cancer, genital warts, or even cauliflower ear (the clue is in the name), and you'll find cauliflowers mentioned in the description. So, if you're about to chow down on a dinner that features cauliflower, maybe keep the medical dictionary closed … especially if it's illustrated. 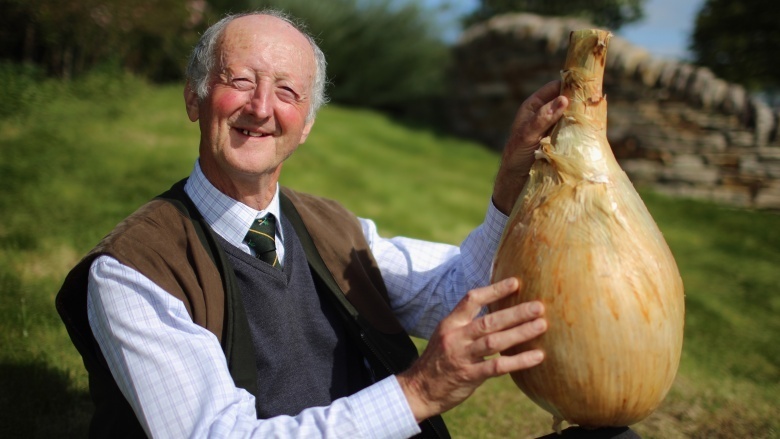 The head of an average sized cauliflower weighs about one pound, which is quite enough as far as most people are concerned, but not for Peter Glazebrook. 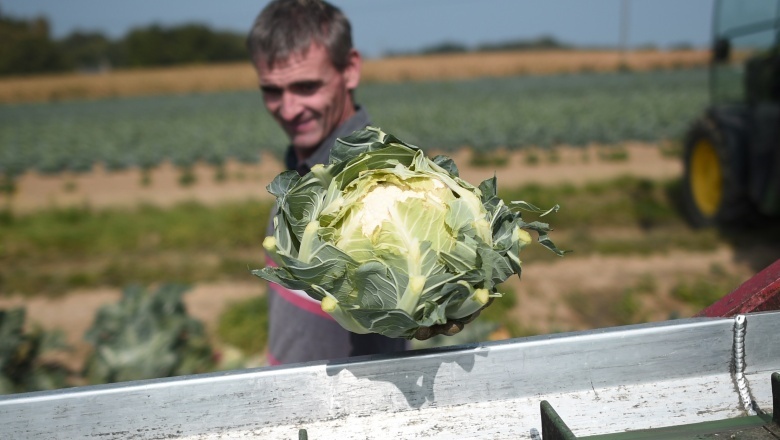 Peter Glazebrook shot to fame (well, a kind of fame, at least) in 2014 when he set a new Guinness World Record for growing the largest cauliflower ever. It weighed 60 pounds, 9.3 ounces, and was six feet wide measured across the leaves. This was no accidental achievement though, since Glazebrook already holds world records for the longest beetroot (21 feet), the longest parsnip (19 feet 5 inches), the heaviest onion (18 pounds, pictured above), and the heaviest potato (11 pounds). Now all he needs is about six pounds of cheddar and he can set a new world record for cauliflower cheese.